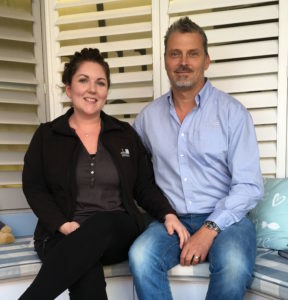 Plantation shutters Wallingford by Just Shutters, your local shutter experts; husband and wife team James and Charlotte Chenery. Just Shutters make the very most of your windows and doors with our elegant and stylish shutters! Our second-to-none quality is matched by our industry leading service. Backed by our lifetime guarantee, you can be assured the value of our shutters lasts and lasts. Call us on 01235 424282. Whether in the centre of the historic market town; or overlooking the river Thames, or the Chilterns, Wallingford boasts such incredible properties and views. Shutters can make the very most of both! When it comes to light and shade control, privacy and making the most of a view, there is no better window covering than shutters. Our beautiful plantation shutters are not just beautiful. Additionally they offer practicality, versatility and durability like no other traditional window covering. Unlike your standard curtains and blinds, all our shutters are perfectly designed and fitted to your exact requirements. Designed, created and installed by our highly skilled and dedicated experts. Shutters are ALL we do, they are our speciality and our passion. Other benefits of shutters include their hardwearing nature. They do not fade or warp with light or heat. Shutters offer privacy and added security and value to your home. And while these benefits are of great importance, of course most people love shutters as they are so stylish and beautiful. For more information please book an appointment or call us on 01235 424282. Furthermore, you can request a brochure by following the links below. 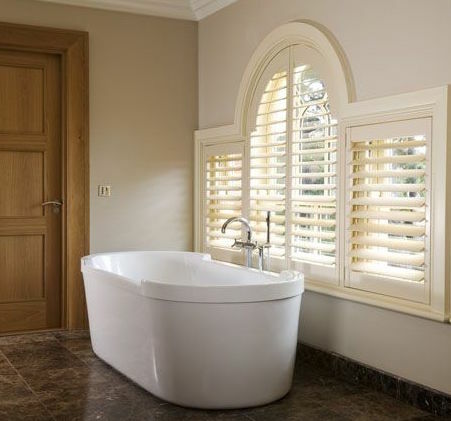 Whilst shutters are an elegant, stylish, luxurious product made from the finest materials and designed and fitted by experts, they do in fact offer incredible value. Unlike cheaper alternatives such as curtains and blinds, they are very long lasting. Our lifetime guarantee is a testament to this. Meaning long after curtains or simple blinds have warped, warn or faded, shutters are still as beautiful as the day they were fitted. Just shutters have earned an outstanding reputation. We believe our customers are our true mouthpiece. Our dedication and commitment to customer service and quality and range of shutters, have earned us this. Please see just a couple or unbiased reviews taken from Checkatrade below. We have over 1500 published reviews with 9.9/10 ratings. We do hope we can add you to the list of happy customers. Shutters fitted to all windows at the front of the house, including very large bay window. Two windows – shutters fitted. Job well done. Pleasant and efficient fitters. Clean, tidy and helpful.